It’s Wednesday, or Hump Day as Parker always calls it, which means he will be wearing his shirt today that has a camel on it and says “Hump Daaay, Oh Yeah!.” He’s worn it every single Wednesday since he got it about four weeks ago. If I don’t have it washed and ready for him every Wednesday, I’m in big, big trouble.For some reason, Parker has an obession with camels. He made a bucket list awhile ago and “riding a camel” is on his bucket list. Don’t even ask where the camel obsession came from because I haven’t got a clue. He is always full of surprises. Doesn’t Hump Day call for a good burger? I think it does. 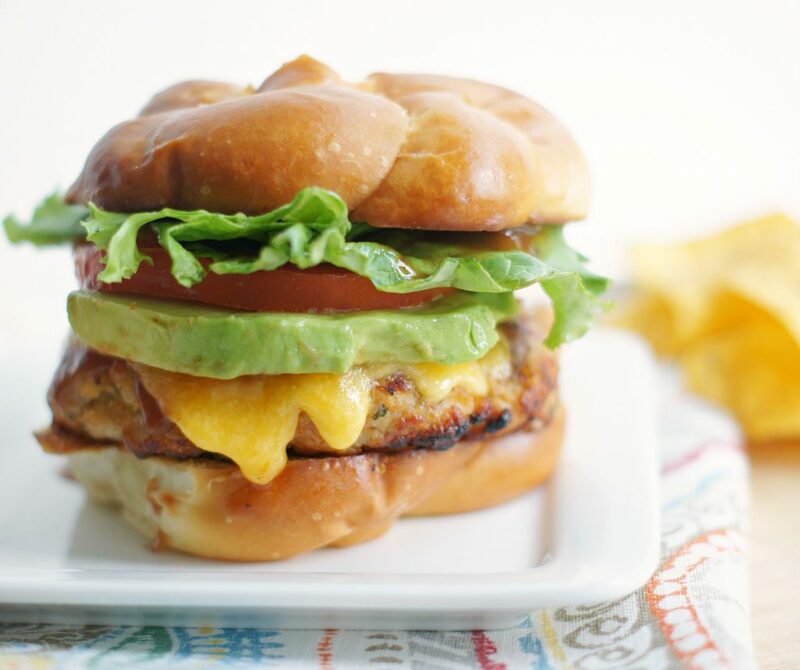 These Cheddar Ranch Chicken Burgers have become a new favorite at our house. I’ve made them three times over the last couple of weeks. We love them! I don’t know about where you live, but the weather here in Utah has been in the upper 80’s low 90’s still which definitely warrants burgers on the grill, don’t you think? These burgers have the best flavor and then when you top them off with some garden-fresh tomatoes, avocado, lettuce and BBQ sauce. . . holy moly they are good! You can easily cook these in your oven under the broiler or in a fry pan, which means you can still have these even when your BBQ Grill is buried under five feet of snow. Seriously though, you will love these. I served them up with some oven steak fries and fry sauce and I had some extremely happy boys at my house! Preheat your grill to medium high or the broiler on your oven. In a large bowl mix together the chicken, Panko crumbs, bread crumbs, onion powder, seasoned salt, garlic powder, dry ranch dressing and 2 Tbsp. BBQ sauce. Form chicken mixture into 4 patties. Grill, broil or cook in a fry pan for 4-6 minutes on each side or until internal temp reaches 160 degrees. During the last couple minutes of cooking time, place a slice of cheese on each burger to melt. Spread butter on the inside of the buns. Place on broiler pan and broil for a few minutes until golden brown or on the grill for a couple of minutes. 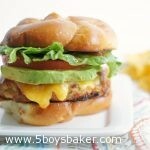 Put chicken burger on bun and top with additional prepared ranch dressing or desired condiment. I double this recipe for my family and then either cook up the last two burgers the next day for lunch or freeze the extra meat mixture. Forgot to comment on these last weekend….probably because I was so busy making and eating sweets from your blog!! These were great and a nice change from regular burgers! Everyone loved and said they were the best! !